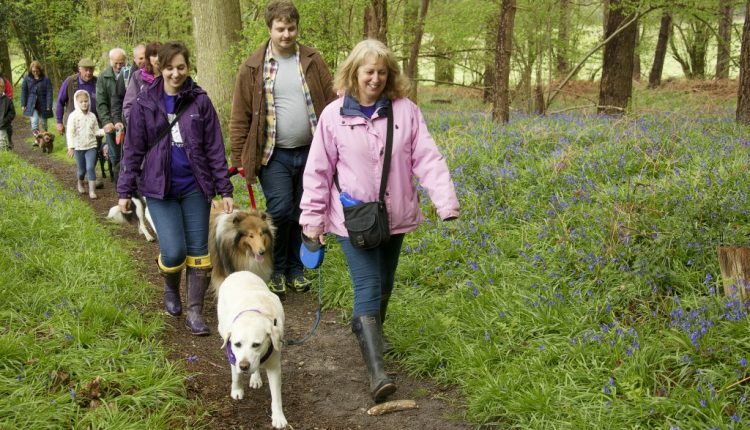 Gather your friends, family, colleagues and community groups and stroll around the beautiful Woodland Trust's Martinshaw Woods in Leicester by attending the Big Martinshaw Wood Bluebell Walk. Gather your friends, family, colleagues and community groups and stroll around the beautiful Woodland Trust’s Martinshaw Woods in Leicester by attending the Big Martinshaw Wood Bluebell Walk. There will also be a raffle and children’s quiz on the day as well as merchandise for sale. The two routes through the woods will allow you to experience the stunning landscape and local wildlife. The first route is around 3 miles, but with shortcuts available. The second route is a shorter alternative at 2 miles. Hard surfaced tracks are suitable for wheelchairs and pushchairs. Please note that on site car parking is limited with space for about 10 cars, but there is road parking available nearby.